It has been claimed that the UK’s offshore wind ‘will lower energy bills’ more than nuclear energy. A leading figure within the wind industry has made the statement, claiming that the offshore windfarms around Britain are the cheapest source of power. Chief executive of trade body RenewableUK Hugh McNeal, has said to the Guardian that he expects these windfarms can secure a deal with the government that is lower than the £92.50 per megawatt hour agreement with EDF for £18bn Hinkley Point C.
“I wouldn’t be surprised if it [offshore wind] cleared Hinkley prices,” said the civil servant, who last year joined RenewableUK after the Department of Energy and Climate Change was abolished. In 2016 £11bn of investment came from the construction of offshore and onshore windfarms in the UK – nearly half of the year’s financial activity for new wind power in the EU. Since 2012 the price of offshore wind power has fallen by nearly one-third – currently at £100/MWh, which is significant given that the future of the technology rests in the government’s hands. If the government sees that the cost of the technology continues to go down then they will offer more support for it, such was the rise in nuclear energy development in recent years. A Green Paper, released on 23 January 2017, showed how the government has set out a road map to reduce business energy costs. The paper covers how to support energy efficiency and examining the scope of instruments that will help to support reductions in the cost of offshore wind. Offshore wind farms have been popping up across Europe and this means clean energy has seen a real boom in recent years, with more and more jobs in energy being created. 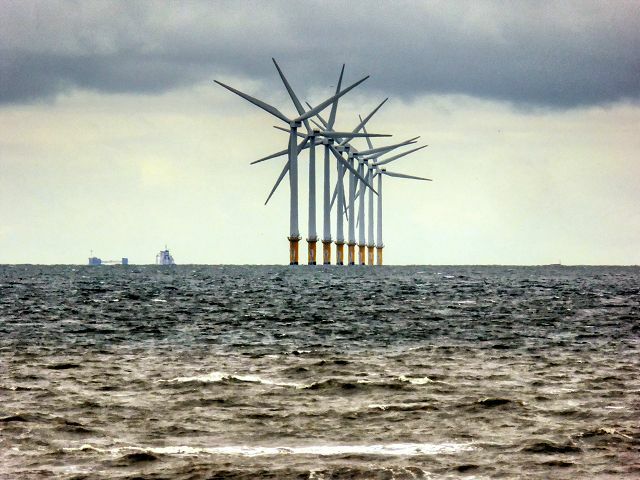 The Burbo Bank extension in the North Sea with its 32 proposed turbines is predicted to be able to power 230,000 households with clean energy – that is enough for Liverpool and its 466,000 inhabitants.